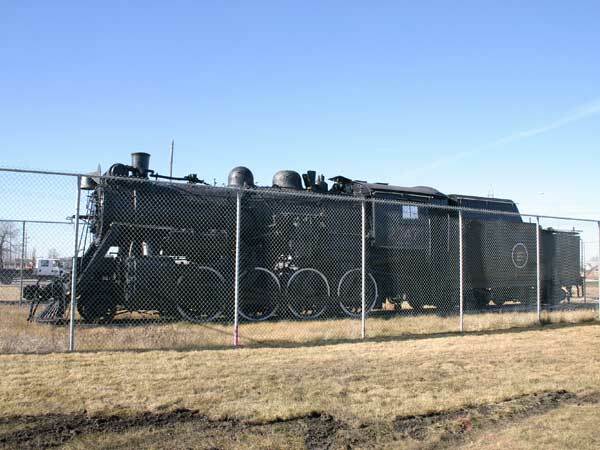 A steam-powered railway locomotive in Rotary Heritage Park on Plessis Road, just north of Kildare Avenue West, was the first of 33 engines to be built completely at the Transcona Shops and the first engine to be built in Western Canada. It was put into service in April 1926. After it was retired, it was donated in May 1960 by the railway company to the Transcona Kiwanis for public display. When the Kiwanis Club folded, the engine was donated to the Winnipeg Railway Museum. In December 2015, the museum sold the engine for $1 to the Transcona Museum. We thank Winnipeg City Councillor (Transcona Ward) Russ Wyatt for providing additional information used here.